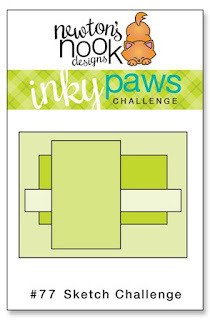 Inky Paws Challenge #77 Winner! 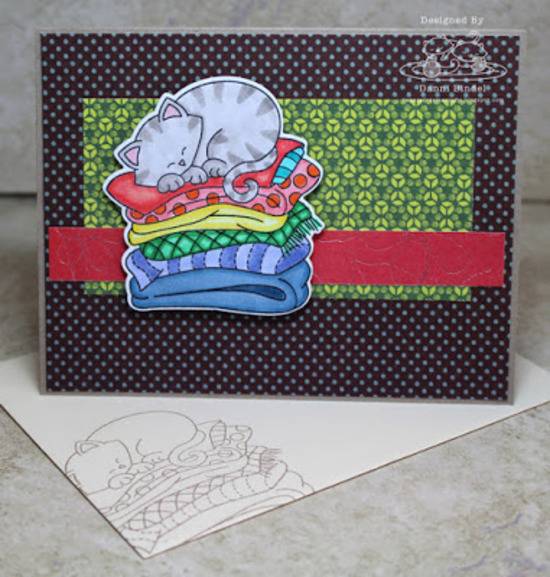 Billie creates her fun background by repeatedly stamping the skein of yarn from the Newton's Antics stamp set. She then uses coordinating papers in monochromatic colors. She adds her sweet Siamese kitty playing in his box and finishes with cream yarn. 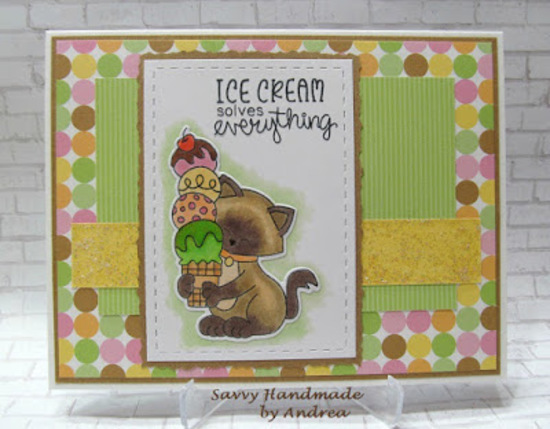 Andrea matches the scoops of ice cream to match her dotted background paper. 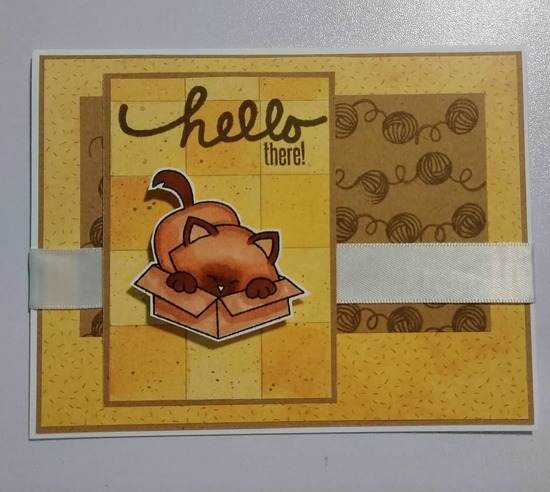 She wonderfully colors her kitty from the Newton's Summer Treats stamp set as a Siamese! She pulls everything together by adding green and yellow layers! 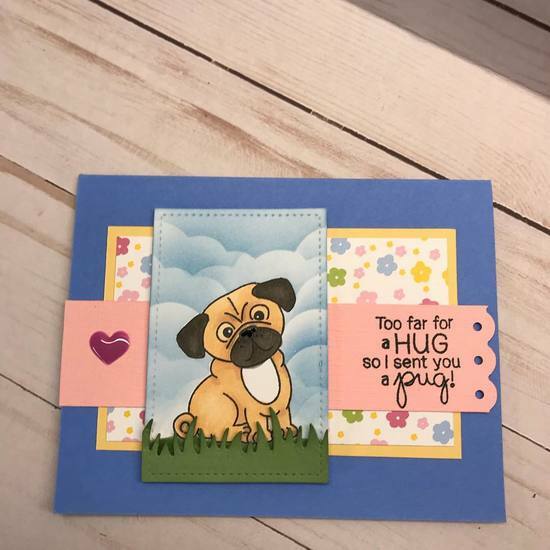 Vicki stamps a cloudy sky background for her sweet pug from the Pug Hugs stamp set. Her background features pastel flowers. 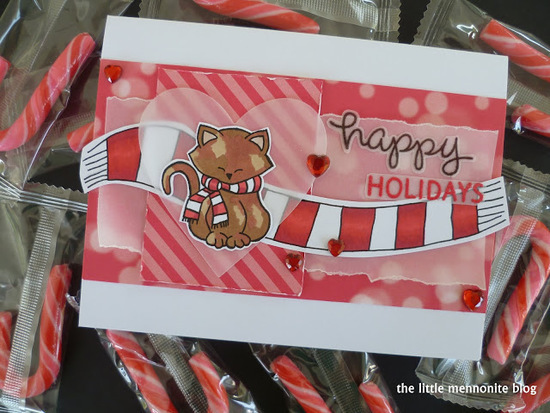 She adds her sentiment to a pink scalloped strip and adds a glossy red heart to finish her design. Dawn provides us this festive holiday card using the Newton's Holiday Mischief stamp set. Her hand drawn scarf looks so cute behind Newton, and her choice of festive papers make this such a "candy" delight! Danni's card. Newton from the Newton's Naptime stamp set and his cozy blankets look so bright and colorful against the dark background. Eve creates this darling underwater scene by using the Tropical Fish stencil to create her background. 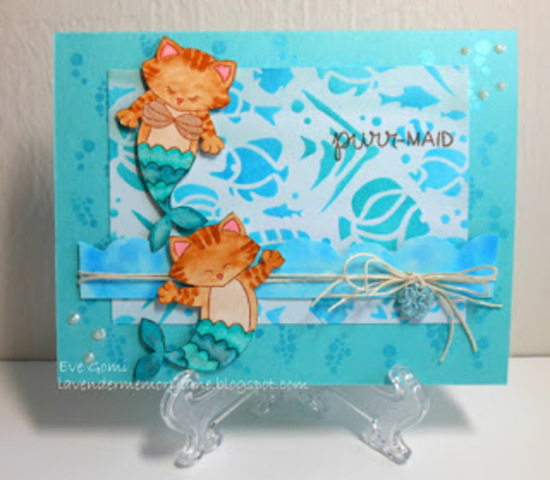 She adds these sweet images from the Purr-maid stamp set. The touch of twine and glittery shell are the purr-fect embellishments! Happy Dance to the winners YEAH! Congrats to the winner! 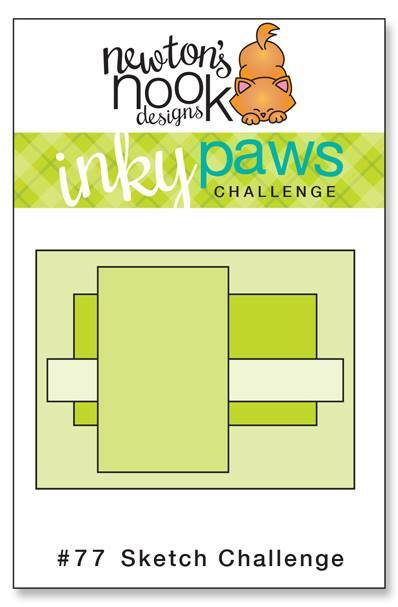 Thank you for choosing my card as a favorite, again! Totally made my day! !